The hunters are an organized class of families whom take it upon themselves to protect human norms from supernatural threats. They investigate, hunt down and if necessary, kill any supernatural creature proven dangerous to the general human populance. The official interconnected hunter families carry out their operations according to a code of conduct. Most hunters, like the Argents and the Calaveras specialize in hunting werewolves. Hunters typically do not get along with shifters in general. The existence of hunters goes back to at least La Bête du Gévaudan. It's unclear if there were hunters before the first Argent took down le bete. But since that time, the Argent family, as presumably others, have dedicated themselves to protecting humanity from supernatural threats. The Argents, in particular, follow the Code. 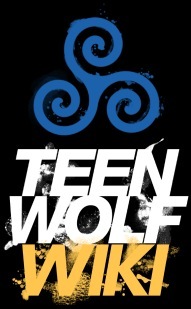 In the Teen Wolf universe, werewolves are not weakened, susceptible to silver in any form. The popular legend of werewolves being killed by silver is actually a bastardization of the Argent family of werewolf hunters being effective at their job over the centuries. Argent means "silver" in French. So it's not the metal 'silver' that kills werewolves, but the family. Hunters don't limit themselves to werewolves. The Argents have an entire bestiary of beings, things that they have encountered, hunted and killed through the centuries. Their main weapons are bows and crossbows, because werewolves will remain in human form with pain and can't heal until the arrow is taken out. A bullet, which would pass through their bodies, wouldn't have nearly as lasting an effect unless it were a wolfsbane bullet. Hunters also make use of tasers, because electricity can prevent a werewolf from shifting and while not as susceptible to the shock as a human being, they are still vulnerable to the shock.